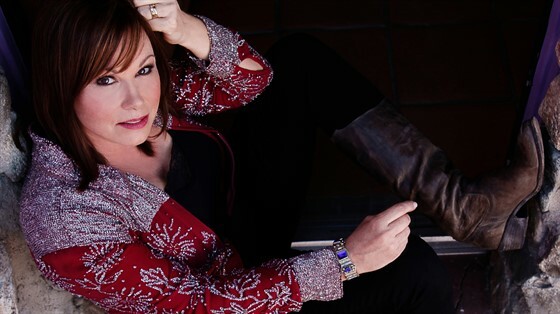 Grammy award-winning and Platinum selling artist Suzy Bogguss is one to chase the muse wherever it may lead. She has covered Country, Swing, Jazz, Folk, Americana and Roots music with style and grace. The live performance - which includes her hits and choice material from her critically acclaimed albums - has been lauded by fans, critics and buyers as "a show not to miss!” Suzy's appeal has never wavered and her fan base continues to grow with constant touring around the globe. Suzy’s 2015 album Lucky was a heartfelt homage to the songwriting of Merle Haggard. Some may recall she kicked off her career with 1989's "Somewhere Between," her debut album named after one of Haggard's early songs. With Lucky, Bogguss dove deeper into Haggard's catalog, taking care to hold on to that original vision of finding songs that resonated with her not just pulling out and recycling the hits. The result is a modern record with a classic vibe. Merle happily gave her the big thumbs and Suzy embarked on two years of non-stop touring in support of the album. Rolling Stone magazine included her in The Top 48 Things We Saw at SXSW 2014. Her 2015 set at SXSW was again a Top Pick by Rolling Stone and also by the Austin Chronicle. In Fall 2016 she released Aces: Redux, to commemorate the 25th Anniversary of the original release. The “redux” is a complete re-recording of her Platinum-selling album with fresh instrumentation and vocals to not only highlight the timelessness of the songs in this collection but also to highlight who she is as an artist today. Since 2017, Suzy has also been touring as one of three “Chicks With Hits”, a show that also features Pam Tillis and Terri Clark. Suzy Bogguss truly is an artist that knows no boundaries and one who always leaves everyone wondering what she’ll do next!